Today, I had an appointment with the dentist. So, the two hour window I would normally use to squeeze in as many errands and chores I can while Nat is in preschool, was spent in a reclined position having three, ancient fillings replaced. Oh, the joys of growing older. But, there’s always a silver lining, and in my case it has been replaced with a tooth-colored composite one. It seems only fitting I share some thoughts and experiences I’ve had with my kids and their teeth. With Noah, brushing his teeth has always been a well-waged battlefield. When he was two, I found the only way to brush his pearly whites was for me to become a human pretzel. I’d sit behind him and wrap my legs around his body so I could pin both his arms and legs down and keep my hands free to brush his teeth. It worked great...until he learned the art of head-butting. Ouch. At three, I told him there were bugs in his mouth. He opened his mouth wide and was all too willing to have me brush them away, but still gagged on the taste of bubblemint. Thankfully, we were introduced to Pediatric Dentistry of Sunset Hills. 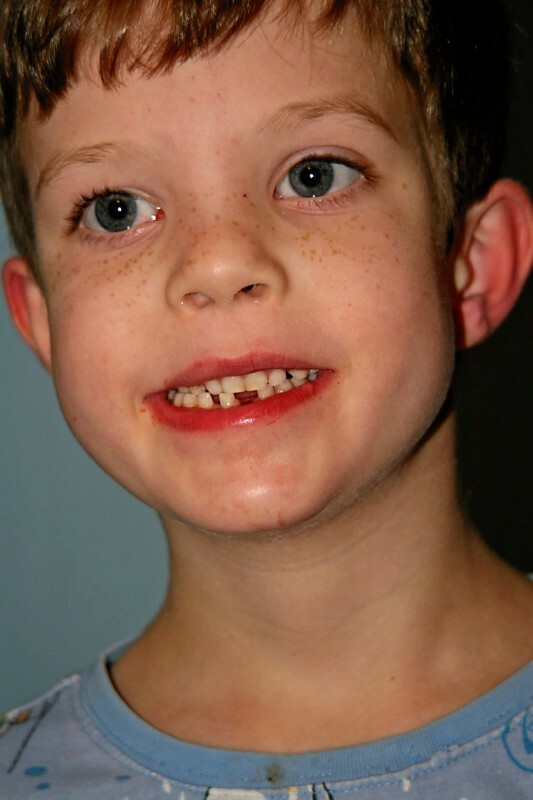 They are educated in dealing with kids with sensory issues. Not only do they know how to make visits pleasant, they found a paste Noah loved. Wait for it…chocolate ice cream flavored toothpaste. Blech. I responded like any good parent not wanting her five year old to lose her belief in all things magical – I skirted the issue then answered her question with a question, “Why do you ask? Natalie: "I love the dentist. I think I want to be one when I grow up." Me: "That's great, Natalie! You'll have to go to school and study really hard,"
Natalie: "Um...actually I don't think I want to be a dentist. I think I just want to be a big blob." Natalie with the prize she chose for being a good patient. Blobs are special too! Lol. Great story!